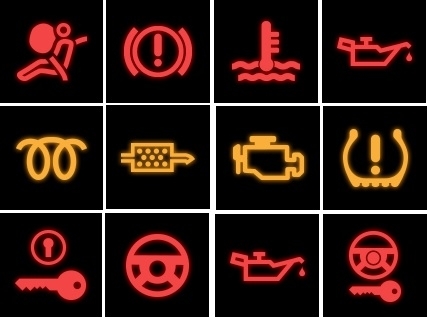 Quiz: How well do you know car dashboard warning lights? We learn how to drive, repeat the mantra ‘mirror, signal, manoeuvre’ and remember what road signs mean. But how many drivers know their car’s dashboard warning lights? When Green Flag surveyed more than 2000 drivers, earlier this month, only 27 per cent said they could immediately identify a warning light. Another 35 per cent checked their car’s handbook, and 21 per cent took their car to a garage for help in understanding what the problem was. Some even admitted to phoning a friend, an approach that could easily result in a dodgy diagnosis. It’s important to heed any warning flagging up by dashboard warning lights. Typically, they give drivers the opportunity to have a mechanical or electrical problem investigated and repaired by a garage, before it becomes serious enough to cause lasting damage to a car.